"Learn from my mistakes, and not your own". Really, is there a better way to learn than that? 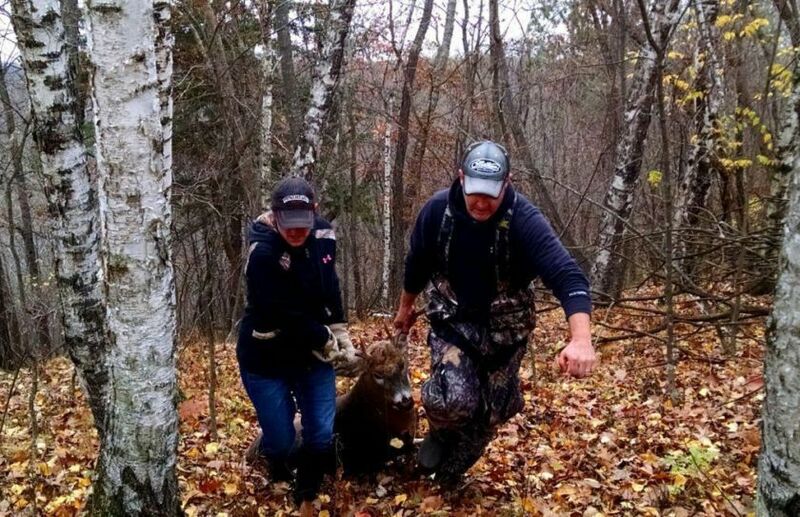 I know that there are some of you that have the art of blood trailing a wounded whitetail down to perfection, but for the rest I truly hope that you can use the following tips this upcoming season to insure your success. Years ago I put this whitetail blook tracking guide together for a speaking event, I still use each and everyone of the tips and I can't wait to share them with you! Afterall there was only 1 way to really learn these tips completely, and that was unfortunately by witnessing many mistakes first-hand, often of my own. At the same time, the losses of deer have not been a very high % within the process of the learning curve, because even when mistakes are made a solid recovery can be experienced if care is taken. The first set of tips are the most critical aspect of tracking a whitetail. When an arrow is released, what you personally do within the following few minutes will often determine what happens within the next 24 hours or more. If you are too aggressive your potential buck of a lifetime could be pushed miles away, with no blood trail and virtually zero hope of finding him. We have all been there, and my hope is that the advice in this article will keep you from going there, again. Check out these estimated time and distances to expire based on common shot placements, and follow below for the #1 blood trailing tip that you can practice. While there is no magic number of hours or minutes for a deer to expire, there is certainly a general conservative guideline. 1. Heart Shot (good, bright-red blood): 5 to 10 seconds, up to 300 yards depending upon cover (often 100 yards or less in thick, high stem count habitat and up to a few hundred yards in open ag-land). And if you think 300 yards sounds like a long ways, it is! However, take some time to stop and think just how long a full-grown whitetail can run at tops speed (45mph) within 10 seconds. 3. Liver Shot (dark, red blood): Up to 1 hour, could travel miles if pursued. Again, at even moderate speeds-possibly even a slow stead walk mixed with short bursts-a deer can travel a very long way in a mile. 5.IntestineShot (good, bright-red to watery blood) 12-24 hours is common, and sometimes 2 days or more! An intestine shot deer unfortunately has the strength to travel many miles with little to no blood trail. 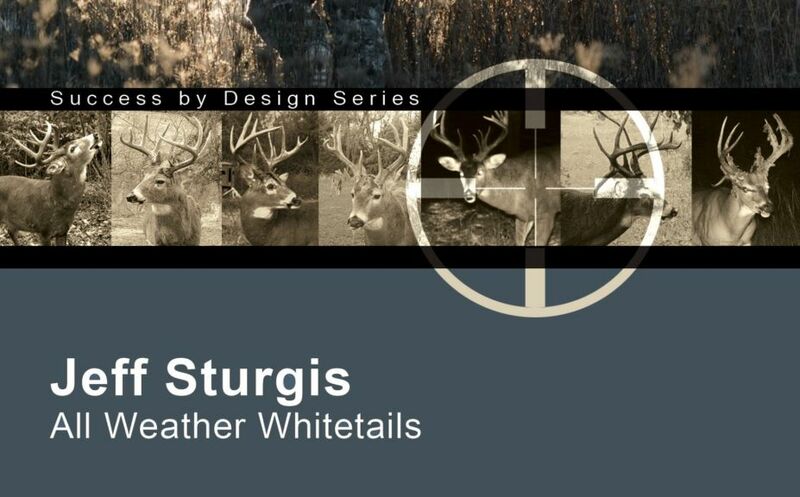 *My latest book, All Weather Whitetails is now available! Trust me I have heard them all, including: "It's going to rain", "the yotes will find him first" and "snow is coming". 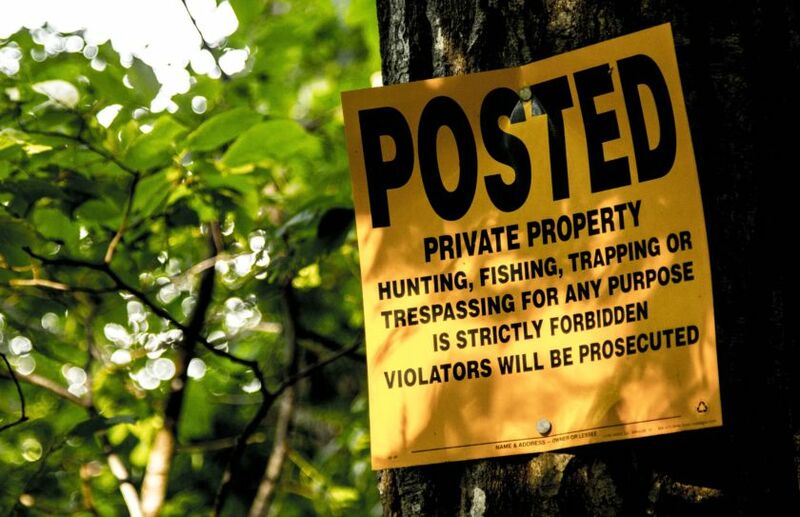 Although some hunters may not admit it, I think you can even add, "I have to get home" and "I have to work tomorrow", to the list of reasons not to back out. However, the hunters I personally know who experience nearly a 100% success rate for recovering mortally wounded whitetails, all have one thing in common: Patience. If "when in doubt, back out" is the king of whitetail recovery phrases, "Patience" it's single root word of success. Exercising patience with anything in life is difficult and the art of tracking a wounded whitetail is absolutely no exception. But, if you want to consistently find a deer that you just shot, you have to apply a whole lot of patience. The decisions that you make within the first few minutes after you shoot a deer, will directly dictate the rollercoaster of emotions that you experience for hours or even days to come. The reliable level of predictable tracking success is based on the behavior patterns of wounded whitetails. *A mortally wounded deer will lie down within 200-300 yards (or first thick cover) and will expire in the time-frame of the specific hit. Unless pushed, this will be the final resting place for your deer. If pushed from this location, the deer will usually go in excess of mile or more, depending upon cover, with little to no blood trail. Unless you are extremely lucky the odds that you find your whitetail are extremely low, even if you only jump him 1 time. *If raining or snowing, you dont have much to lose by waiting. If you have a good hit, the deer will only go a short ways, making recovery relatively easy, even with no blood trail! If the deer had a marginal hit, hurrying to track because of an approaching rain or snow will only push the deer and you have a great chance of losing the deer anyways. Do you have lots of coyotes or other predators in the area? Same thing...jumping a bedded deer will only lead to the same results of jumping him in the rain or snow. 1 jump and he is typically gone for good, so taking a chance that a predator finds him is better than the certainty that he will be lost if he is pushed to early. *Just because you see a double-lung hit, doesnt mean thats what hit it was. Our mind has a way of tricking us into thinking we did a better job than we did (we practiced, aimed hard, took a careful shot-had to be good!). Believe it or not, a deers reaction is quick enough to completely avoid an arrow, even within 10 yards. If a deer reacts just slightly to the sound of the shot, your arrow can be no where near where you aimed. Also, do we always make a perfect shot?I know that I don't, which is why I thought is was important to relay this informationt to you. *Unless you see your deer fall, it is always best to wait until morning, or later in the day, even if you think you made a good shot. This practice has resulted in dozens of 100 yard tracking jobs that ended with a deer that had expired hours earlier. But I can also say that this practice has ended with at least 2 deer that were still warm to the touch. *If you know you made a double-lung shot, with a heavy blood trail and plenty of bubbles, and are also confident you made a perfect shot; wait an hour and go get your deer. The problem with this is that it takes many years of experience and tons of confidence to determine exactly what situation and hit is yours. Each year there are many lost liver shot deer that fell victims to I know I shot a double lung, when in fact it was not. I consider all my deer trophies, and even if I know I shot a great shot, I still give the animal the time and respect it deserves to expire. If you shoot a buck early in the morning, go have breakfast, go shopping, call some friends or even take a nap (if possible!). An evening tracting job is the same-walk straight home, have a sleepless night, and go get your deer in the morning with no harm done. *A wounded deer may only be 100 yards away when you exit your stand, dying, so it is critical to sneak out of your stand and away from the deer. Walking towards the deer only 10 feet could result in a fleeing deer that often will cover a 1/2 mile or more prior to settling down again. Remember, that deer really doesnt know what happened, he probably feels sick, and is doing his best to feel hidden, safe and comfortable. The moment a whitetail knows a human is after him, he is gone! It only takes a jacket being un-zipped, an arrow hitting a stick, or even an innocent cough or sniffle. *Always look for the last place you saw the deer and mark with a tissue, tree, or other natural feature. Still follow the blood trail at the place of the hit to more accurately determine the type of hit, but marking the last place of deer sighting is a great reference. Over the years I have had to climb back into a stand after searching a bit becasue I did not mark the location I last spotted the deer I had just shot only hours earlier. Remembering a fallen log, odd tilt to a tree trunk or even an unusual opening in the woods are all great references for when you return to . As long as 1/2 way decent cover is available, it has been my experience than a wounded whitetail will rarely travel more than 300 yards before they lay down to die. In fact, a huge majority of the whitetails that I have personally tracked, did not travel more than 200 yards, regardless of the quality of the shot. What carries the greatest potential impact for creating a much longer tracking job? You. When a deer is shot, they typically run 50-100 yards from the sound of the shot or the impact. If they are mortally wounded they then do something that we can all count on: They choose a location to stand and eventually bed down. I can only imagine that if they are still alive, they are in full anti-predation survival mode! In survival mode their senses are on high alert and they are keenly aware of any unnatural sounds, sites or smells. This is when the decisions that you make from your stand location are critical. If you noisely climb down, if you go search for the arrow or if you exit your location to travel back to the truck and a wounded whitetail hears you, sees you or smells you they jump into a new mode that will doom your chance of recovery a strong majority of the time: Flight Mode. When a whitetail enters into flight mode they travel. They travel fast, far and don't look back. Often a deer in flight mode will travel a 1/2 mile or more and if your shot was poor you can sometimes expect a few drops of blood or less, scattered over that entire distance. It is no wonder that a jumped deer is rarely recovered. "If you leave a wounded deer overnight there is a chance that a coyote will find it before you do. However, if you jump a wounded deer once, there is an almost certainty that will never find it." I personally have lost a portion of 1 deer to coyotes in 3 states that I have left dozens of deer to die in, for 5 hours or more. I always leave an article of clothing in the area of the blind or stand so that hopefully a coyote will smell while waiting to track. If a coyote smells that clothing, I firmly believe they will leave the area even if they happen to smell a dead deer. 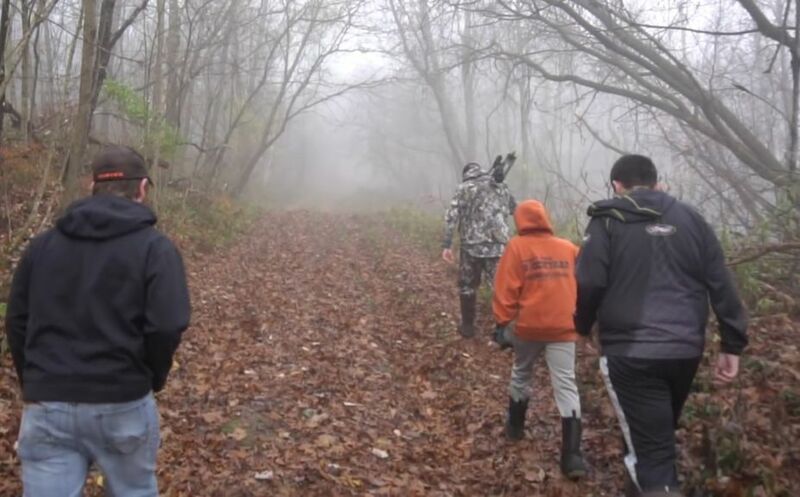 The #1 rule for following a whitetail blood trail is one of the most important and repeated phrases in whitetail hunting, as well as quite possibly the most ignored. How can you experience nearly a 100% success rate for recovering mortally wounded whitetails? By following the #1 rule for tracking deer: "When in doubt, back out". If you are careful and conservative when tracking a wounded whitetail, your patience will be worth far more than knowing the actual art of tracking a deer. Poor decisions in the moments after the shot can result in 24 hours of searching or even more in some cases, with an unfortanate end of uncertainty and loss. It all begins with the shot, and making the right decisions immediately after. If you search for just a bit, even as little as within 10 or 20 yards, you may have already doomed an otherwise successful. Whitetails are incredibley resiliant creatures, able to withstand wounds and infections that a human could never live through. Whitetails also recover from hunting season wounds to live many years more so is a deer that you didn't recover lost, or simply recovered? You can answer that question with a much higher degree of certainty if you exercise a little patience in the deer woods. Enjoy this whitetail blood tracking guide that was decades in the making, when you enter you stand this Fall!